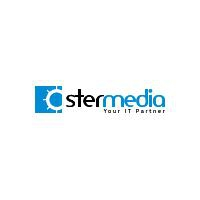 Stermedia, founded in 2005, is a software company, which focus on developing custom software. Stermedia employs all important players in order to secure the complete cycle of software production: team leaders, analysts, developers and testers. We prefer to work remotely. We are aware of the fact, that such a work could be demanding. However, we claim to have technical, organizational and functional knowledge to make this cooperation successful. Stermedia develops web and mobile applications most of the time. We use the cutting-edge technologies and we always try to keep our technology portfolio up to date. It\'s important for us to make innovative projects and deliver modern solutions to our customers. That\'s why we engage our potential in highly topical, interesting subjects such as: face recognition, image processing, machine learning, big data, data mining. We work with the academic community and we lead scientific projects in the field of renewable energy sources, medical science and industry. A long time ago we have discovered the potential of the Open Source Technologies and we use it for the benefit of our customers. In Stermedia we are sure, that people are key to success in the area of the software development. That\'s the reason why we employ highly skilled, reliable personnel, people with passion for creation. For our everyday work we use SCRUM methodology, which is a modern, flexible and customer-oriented method of making software. Customer can control the work\'s progress as well as contribute to the project or request a new functionality. During the software production cycle our products are carefully tested and integrated (Test Driven Development + Continuous Integration). CMS: Drupal, Typo3, Liferay Portal, Wordpress, Odoo, Ownclound Ownclound and other Open-Source Technology. PKP Informatyka (http://www.pkp-informatyka.pl/; Finance module). STERMEDIA Sp. z o. o.